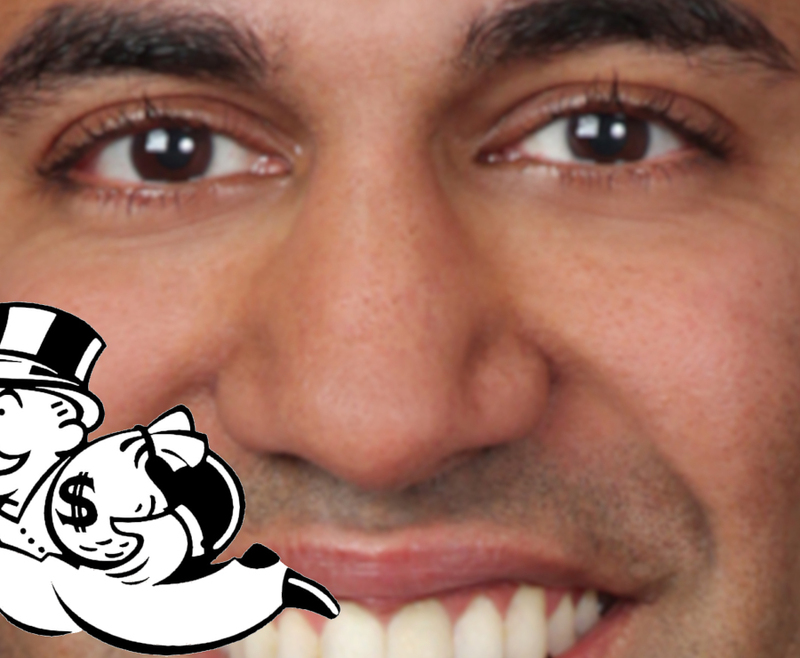 When Trump's FCC Chairman Ajit Pai killed Net Neutrality (by deliberately ignoring comments from actual humans in favor of comments left by obvious bots), he said that removing regulation from telcos would boost investment, finally ending the US's status as the worst broadband nation in the world. But it's impossible to say whether that is working, because Pai's office has ended the Obama-era practice of letting the American public view the results of its taxpayer-funded speed-tests. The FCC is still paying to have these tests conducted, but it's been two years since they've released the results. What's more, the FCC is stonewalling on Ars Technica's FOIA requests to find out why the reports are not in the public domain yet. It's a real head-scratcher. Surely releasing the telcos that used to employ Pai from any kind of public reponsibility or regulatory oversight must have resulted in a surge of investment and better value for money for the Americans who are paying Pai's wages during his brief holiday from his service as a senior telcoms executive. You'd think that he'd want to trumpet that new from the hilltops, right? I wonder why he won't release that data. After denying our request for expedited processing, the FCC repeatedly extended its own deadlines for providing documents to us. FCC staff told us they needed more time because they were still "reviewing documents to determine if they are responsive to your request." The FCC, which has an annual budget of $450 million, asked us on October 4 to narrow the scope of our public-records request, telling us that searching for the documents would be "a pretty significant burden and would take a long time to process." We agreed to narrow the request to exclude testing data and to include only emails that relate directly to whether the FCC will release future versions of the Measuring Broadband America report and to whether testing has been discontinued. In response, the FCC's Office of General Counsel told us on October 10 that it would search the chairman's office emails "for records mentioning the Measuring Broadband America report since 2016" and "provide you with any records we locate, consistent with the FoIA statute." Despite that, the FCC didn't meet its new, self-imposed deadline of October 25. On that date, an FCC staffer told Ars via email that the FCC was "unable to meet our due date" and that "at this time, we do not know how long this process will take and cannot give you a due date." We contacted the FCC press office and the FCC official handling our records request again on Monday of last week, but we received no replies.